Naga Chaturthi / Chavithi is an auspicious day to observe Naga Puja. Nagula Chavithi is observed on the fourth day (Chaturthi) after Deepavali Amavasya during Karthika masam. It is a festival to worship Nag Devatas (Serpent Gods). Nagula Chavithi is observed by married women for the well being of their children. During the Chavithi festival, women keep fast and observe Naga Puja. Devotees offer milk and dry fruits to Sarpa Devata at the Valmeekam or Putta (snake pits). 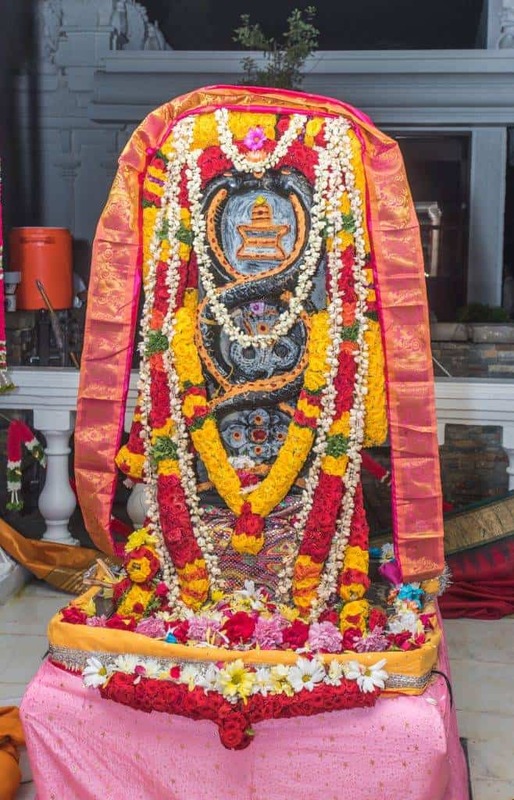 Performing abhishekam and puja to Naga Devatha by qualified priests will rectify Kuja and Kala Sarpa dosha’s and is highly beneficial for the welfare of the family.